How many times during the day do you open and close your garage door? Two? Four? Six? This number could be in the ‘teens if you are a busy mom or dad driving your children from place to place. For this reason alone, it is important to invest in reliable garage door openers. The garage door is now “the most used exterior door in the home” – what is the condition of your garage door? Garage door openers provide easy access to the home from the car or outside. This access is safe, convenient, and simple as long as your opener is working at optimal efficiency. 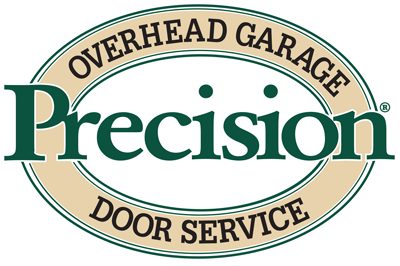 Precision Garage Door Service of San Diego is your local garage door specialist. We proudly offer several name brand items for garage door openers: Marantec, Precision, and LiftMaster. If you need to replace your system, make sure to choose the type of opener that fits your needs. Chain drive: This opener type uses a metal chain to power the opening and closing operation. It is the most common type because they are reliable, economical, and good in a variety of climates. Chain openers are a bit noisy, though. Belt drive: This type of opener is very quiet and offers reliable, long-lasting performance. This operation slows down for starts and stops. Enjoy more advanced security features with a belt drive. We highly recommend this type because it is the best garage door opener available. Screw drive: A screw drive opener requires the least maintenance because it is very powerful and has few San Diego garage door parts that move. A screw drive uses a lifting mechanism that moves along a threaded steel rod. They are slower than and not as quiet as a belt drive. Jack shaft: This design is used for areas where a traditional opener won’t fit. For example, garages with low, obstructed, or cathedral ceilings are the perfect place for a jack shaft. This design also allows for overhead storage. To learn more about which type of garage door opener is right for you, call the technicians at Precision Door. Our professionals will ensure you receive the best value for your needs. Precision Garage Door Service of San Diego is an experienced and professional garage door opener installation company. We offer top-of-the-line products and services because our customers deserve the best. Contact us today to consult with one of our experts about San Diego garage door openers. We have the third-party insight you need in order to make an educated decision.